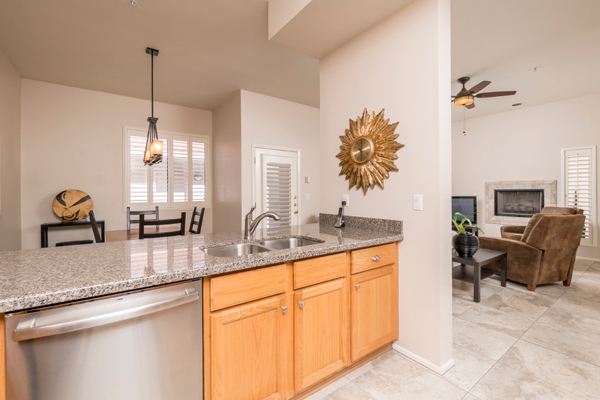 Introducing: 10401 N 100TH ST 7, Scottsdale, AZ 85258. AP: $1,495,000. 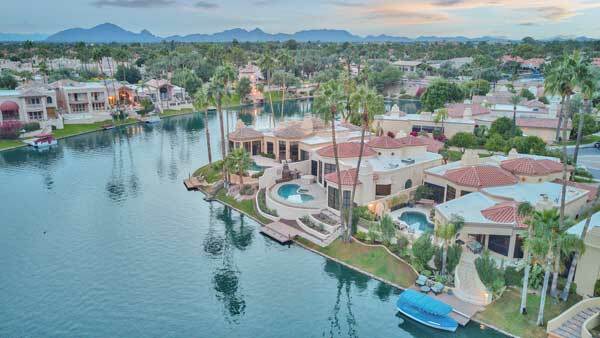 An extraordinary lakefront luxury home located in gated Bayview Estates Scottsdale Ranch. 10401 N 100TH ST 7, Scottsdale AZ 85258. Photo Credit: The Marta Walsh Group, Russ Lyon Sotheby’s International Realty. Presented By The Marta Walsh Group, Russ Lyon Sotheby’s International Realty. BUY THE LIFESTYLE. How do like this as your own backyard? 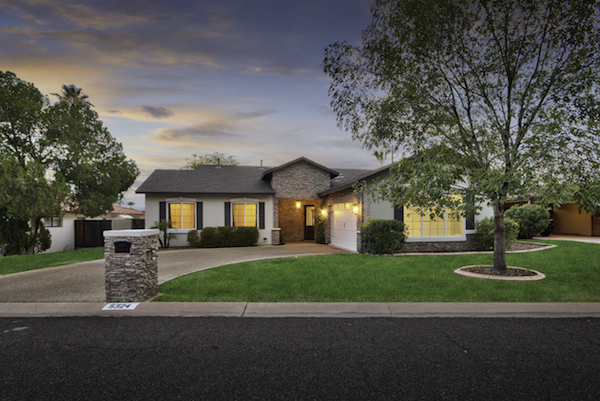 Introducing: 7880 E Softwind Dr Scottsdale Arizona 85255. Offered At: $1,125,000. 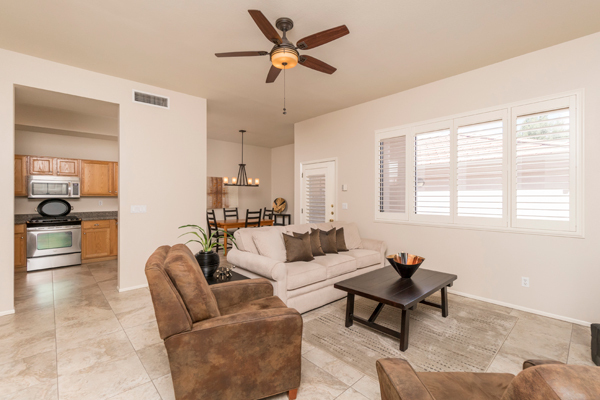 78800 E Softwind Dr Scottsdale Arizona 85255. Presented By The Marta Walsh Group, Russ Lyon Sotheby’s International Realty. 5 bedrooms. 3.5 bathrooms. 3 car garage. Over 1 Acre Lot! 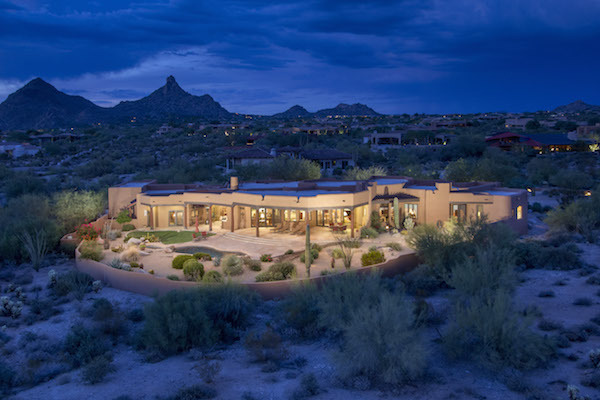 Privacy, serenity, and the ultimate desert retreat awaits you. 4960 E Red Rock Dr Phoenix AZ 85018. Offered At: $1,850,000. Presented By The Marta Walsh Group Russ Lyon Sotheby’s International Realty. Live at the Top of Camelback Mountain! 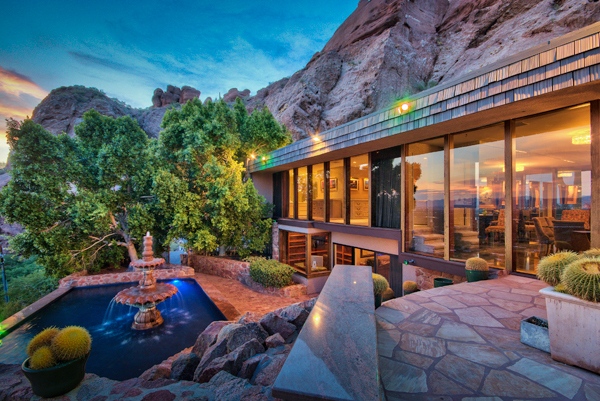 A stunning mid century classic home perched high among the red rocks. This lot is rare sitting at over 700 feet elevation above Phoenix gives for the most stunning views. 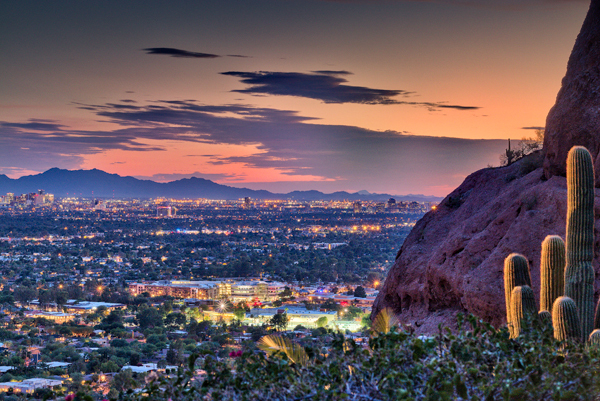 The tallest building in Phoenix is only 40 stories high but you have views from 65 stories up! 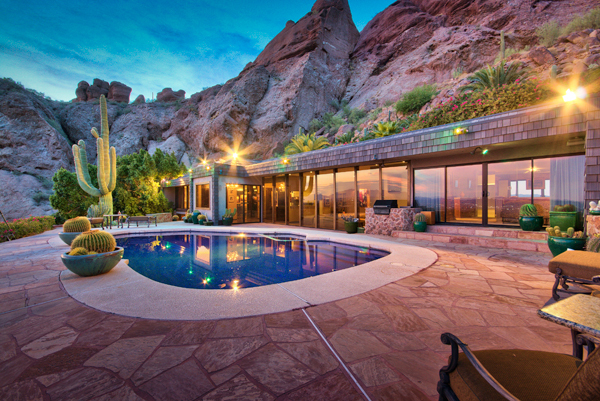 A timeless property that will forever be one of the prized locations in Phoenix real estate. NEW TO MARKET. 5324 N 33RD ST Phoenix AZ 85018. 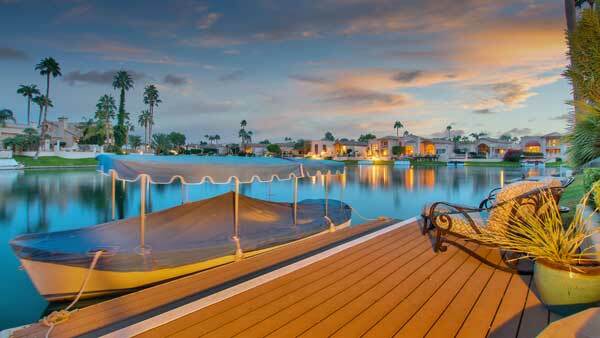 Luxurious 5 bedroom transitional home in amazing central Biltmore Heights, Phoenix. Close to shopping and dining in both Biltmore and Arcadia neighborhoods. 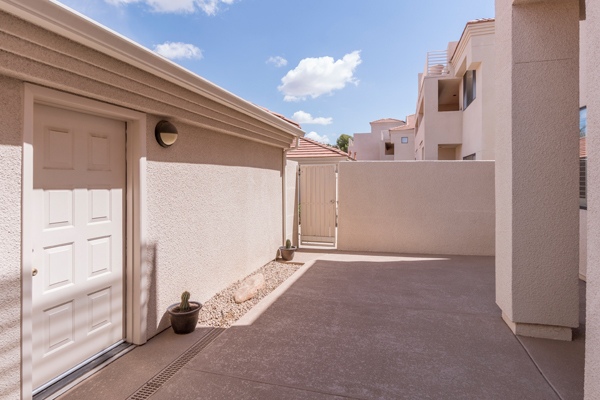 Easy access to Sky Harbor and Downtown. Offered At: $980,000. Built in 2014 this home has a great floor plan and top of the line finishes through out. 5 bedrooms, 3.5 bathrooms 2,876 square feet. 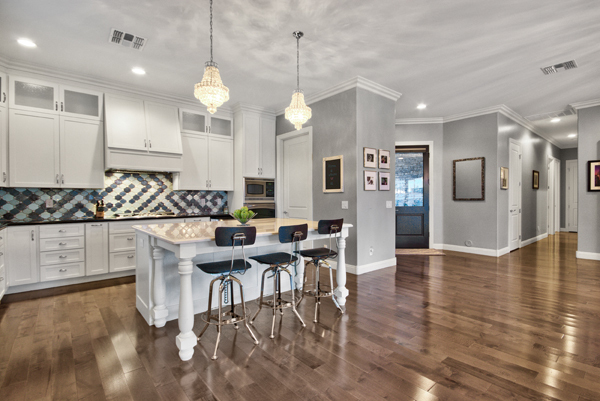 High end finishes include: Granite & quartz counters, High end hardware, bathroom fixtures, light fixtures & MORE! Presented By The Marta Walsh Group Russ Lyon Sotheby’s International Realty. Dear readers. I just wanted to share with you a nice letter Matt Walsh and I received from a client who recently sold their home in Pinnacle Peak Scottsdale. It sold for $1,560,000. 10010 E Jopeda Ln Scottsdale 85255. SOLD By The Marta Walsh Group Russ Lyon Sotheby’s International Realty. When we first listed our home, we chose a well-known “Team” company. There were few showings and at the end of the selling season, we took our house off the market for the summer. As we thought about whether to continue with last season’s “Team”, we realized that we had only one relatively inexperienced realtor whose “teammates” were nowhere to be seen. We erroneously believed we had everyone in that firm working to sell our house, and it just wasn’t true. 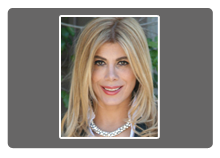 When it was time to relist, we received many contacts from realtors. One stood out … Marta and Matt Walsh. During their interview, Marta Walsh said she had reviewed the pictures of our home on line and she thought they weren’t of the quality that they should be for a luxury property like ours. She was right! The “Team’s” pictures were subpar. After our interview with Marta and Matt Walsh, we quickly realized that they truly are a team. Each has an expertise and compliments the other. It has taken considerable time to finally attract the right buyers for our unique property. We appreciate Marta’s cheerful tenacity and Matt’s willingness to try anything. They always listened and they stuck with us through a lengthy, tough market. We appreciate everything Marta & Matt have done for us in selling our home. We especially appreciate Matt’s stepping up when the transaction process faltered. Matt & Marta are a true Team and will not let you down. 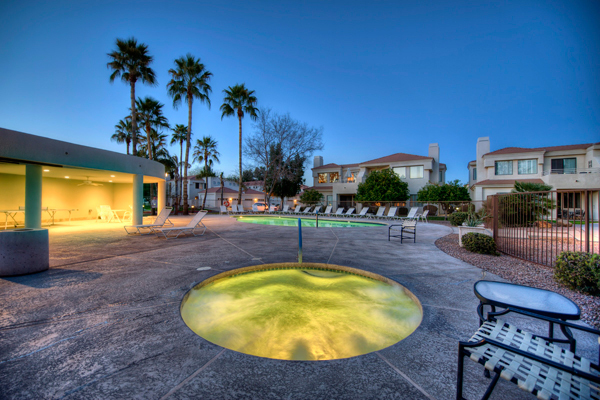 Are you looking or know anyone who’s looking for the perfect Scottsdale condo? This premium lot at Palm Cove in McCormick Ranch has its own oversized patio and it’s immaculate and move in ready. 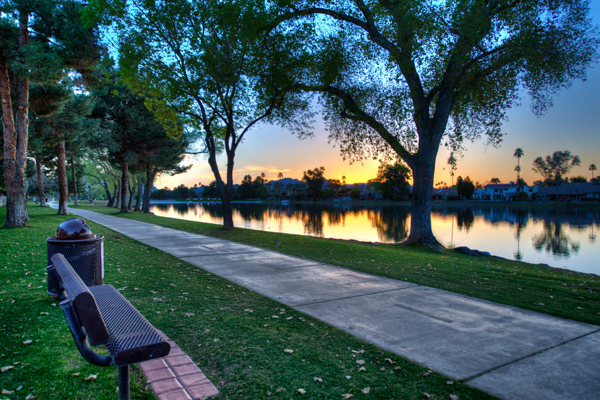 Palm Cove is a charming lakeside gated community close to everything. Ask Price: $324,999. Call/Email Marta Walsh for more information!